Boutique Baking is made up of 7 chapters: Sweet Treats, Beautiful Biscuits, Cupcake Heaven, Luscious Layer Cakes, Classic Cakes & Bakes, Delicious Drinks, and The Icing on The Cake. 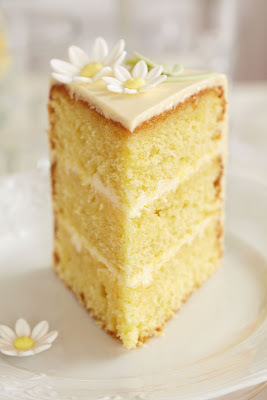 Some of the stand out cake recipes in the book are the 'Glorious Victoria Cake' with pretty pink victorial-style scroll and shell piping and the 'Lemon Limoncello Cake' topped with cute sugar daisies. 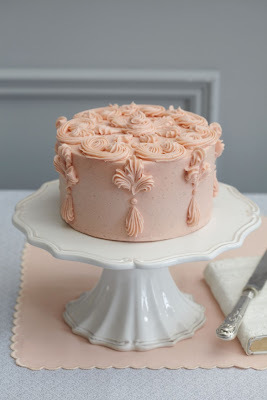 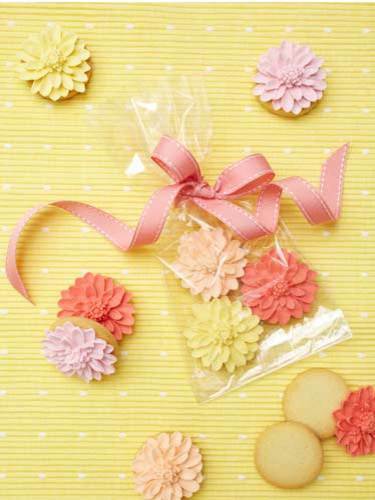 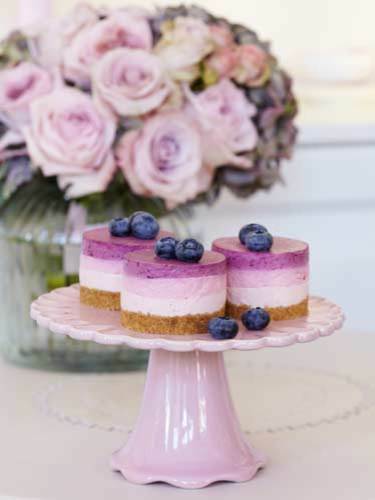 All the recipes in the book are inspired by the sweet treats served at the Peggy Porschen Parlour. 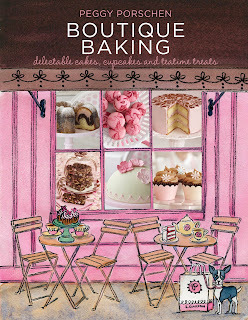 As well as recipes, the book provides detailed photo guides on how to decorate each of the cakes. The recipes I am looking forward to trying out are the Triple Berry Cheescakes (see left) which have layers of strawberry, raspberry and bluberry cheescake creating a cute ombre effect and the blossom biscuits topped with pretty chrysanthemum blossoms (see right).